The opportunity to go back through history is one of the amazing strengths of satellite data. To decide in a morning that you want to go back and look what a place on the other side of the world was like ten, twenty, thirty or forty years ago; and then to have completed the work by the afternoon is a capability very few other industries or mediums have. This week there was a report about ESA’s project on preserving and archiving satellite data. The Heritage Data Programme digitally preserves satellite data for future use at ESA’s Earth Observation Data Centres, and terabytes of data are being added to the archive every data. ESA’s past and present space science missions are archived at ESA’s Science Data Centre. Ensure and facilitate the accessibility and usability of the preserved data sets respecting the individual entities applicable data policies. Adopt a cooperative and harmonized collective approach among the data owners. Ensure, to the maximum extent, the coherency with the preservation of other non-space based environmental data and international policies. Unlike some mission, such as Landsat where continuity of data has been paramount, other missions operate for a relatively short lifetime and there is not an immediate follow-on mission to carry on the data collection. It could be months or years until the next equivalent dataset, and so preserving older datasets is of great value and benefit to researchers. Often the scientists who did the original research have moved on and the only thing that is left are academic papers and the vital dataset. Even within Pixalytics, Samantha has had to dig out data she last used twenty years ago to do analysis or comparison work. Without these preservation techniques and programmes for the collected data, the significant amounts of money to design, launch and operate the satellite are being devalued. The work isn’t solely confined to the space industry. It was reported last year that ESA was working with the Vatican Apostolic Library as it began a project to digitise its collection of manuscripts including thousands from the Middle Ages. The two organisations are working together to use the same methodology for preserving their respective digital archives. The work with the Vatican provides a fantastic analogy of why this programme is important. Texts written hundreds, if not thousands, of years ago can still be read – albeit carefully! The physicality of the text means it is still accessible, we need to ensure that the data we are processing today is still accessible in fifty, hundred or a thousand years from now. 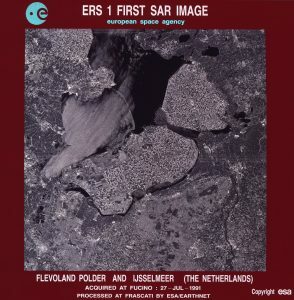 This entry was posted in Copernicus, Data, Earth Observation, Education, ESA, Landsat, NASA, Remote Sensing, Research, Satellite, Space Can Help, Space Industry and tagged benefits of satellite data, data, datasets, Earth Observation, EO, ESA, European Space Agency, Heritage Data Programme, Landsat, Long Term Data preservation, pixalytics, Research, satellite, science, Vatican, Vatican Apostolic Library by Andy. Bookmark the permalink.